Care of the Earth: Pope Francis has written beautifully about our responsibility to care for the environment. 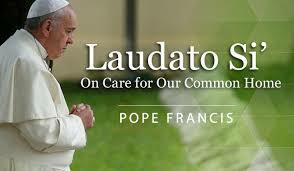 A discussion group will meet to reflect on the Pope’s words in his letter on the environment, Laudato Si’, at the Pastoral Centre Cavan, each Tuesday evening in September at 8pm, commencing on Tuesday 5 September. All are welcome to attend and to participate.